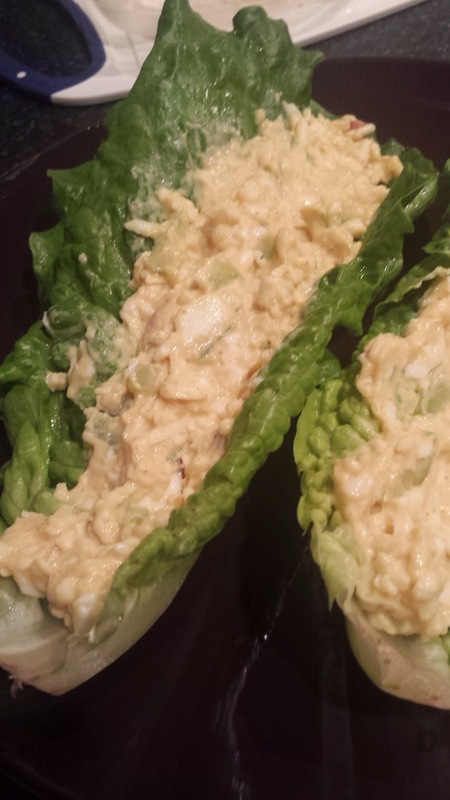 I was craving egg salad the other day so I whipped these up in a few minutes. I don't buy or use mayo so I used sour cream and dijon mustard instead. I grate the hard boiled eggs because I like the texture it makes them, instead of mushed up. Add chopped celery and onion, season with salt, pepper, and paprika. Wash some romaine leaves and divide the mixture up between them and enjoy!